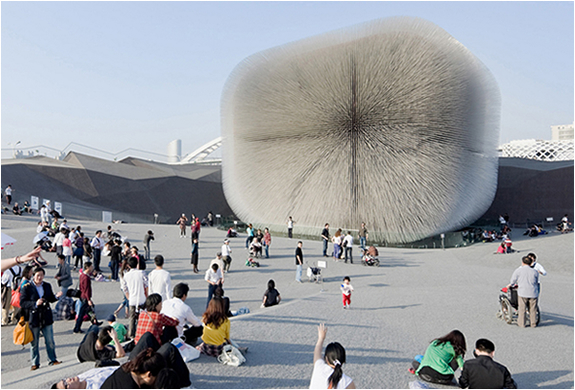 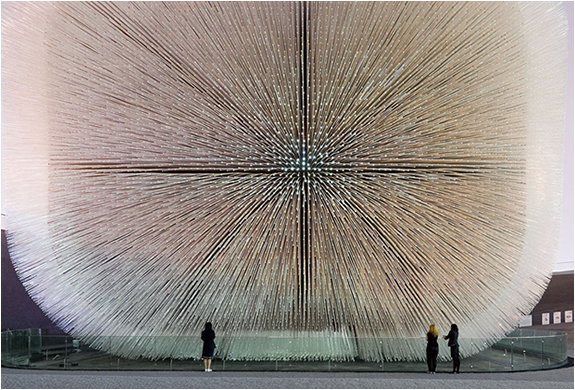 Developed by one of the UK’s leading creative talents, Thomas Heatherwick, the centrepiece of the UK pavilion is a six storey high object formed from some 60,000 slender transparent rods, which extend from the structure and quiver in the breeze. 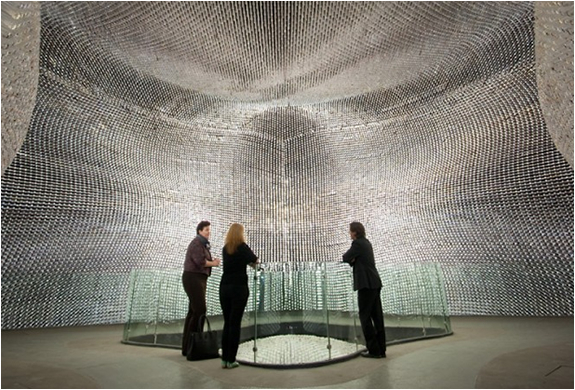 During the day, each of the 7.5m long rods act like fibre-optic filaments, drawing on daylight to illuminate the interior, thereby creating a contemplative awe-inspiring space. 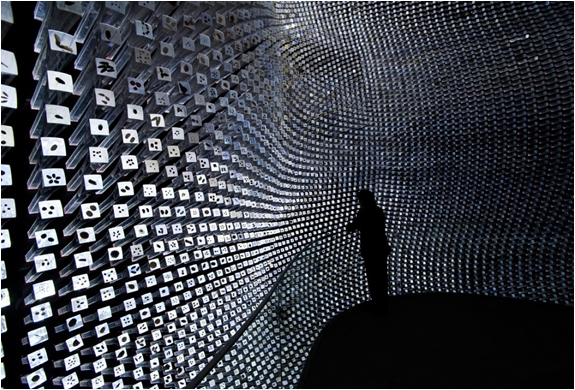 At night, light sources at the interior end of each rod allow the whole structure to glow. 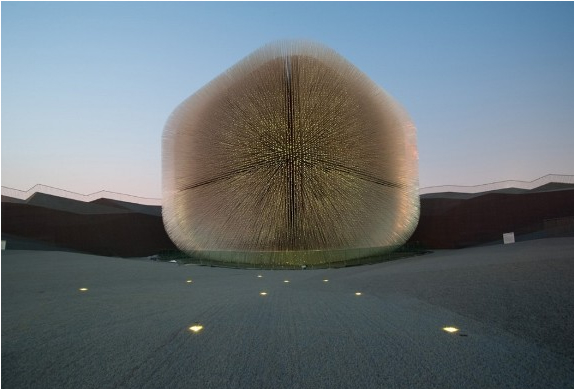 The pavilion sits on a landscape looking like paper that once wrapped the building and that now lies unfolded on the site.This is definitely one of the architecture wonders of this century.